In York County, Pennsylvania, the use of intellectual capital by industry is shaping our new innovation economy. 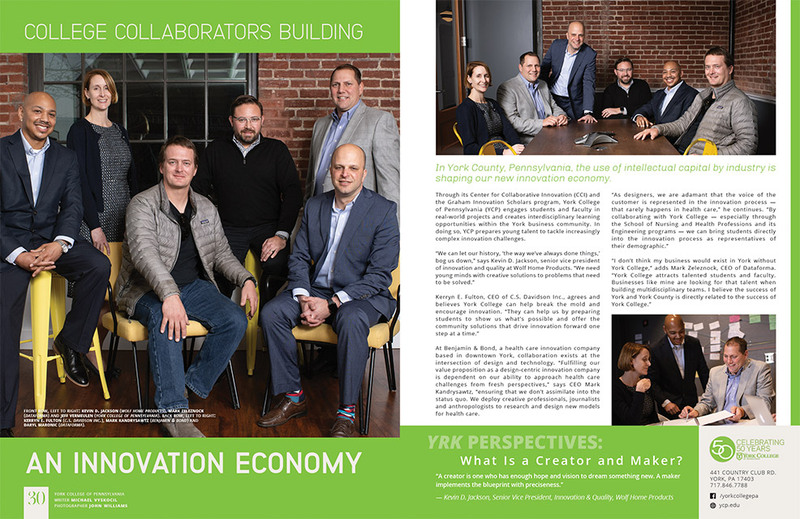 Through its Center for Collaborative Innovation (CCI) and the Graham Innovation Scholars program, York College of Pennsylvania (YCP) engages students and faculty in real-world projects and creates interdisciplinary learning opportunities within the York business community. In doing so, YCP prepares young talent to tackle increasingly complex innovation challenges. 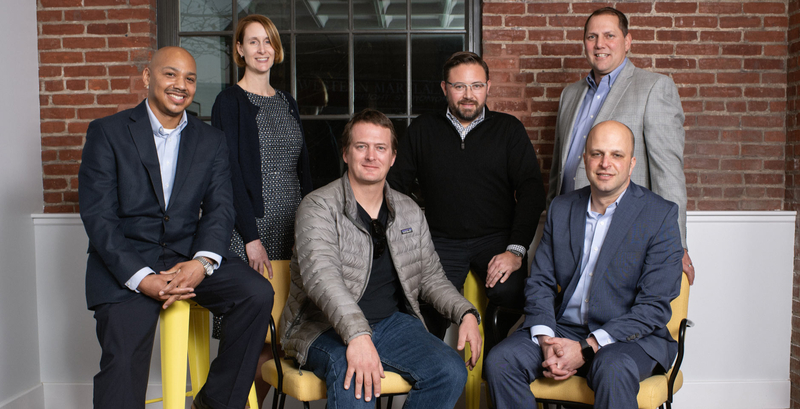 At Benjamin & Bond, a health care innovation company based in downtown York, collaboration exists at the intersection of design and technology. “Fulfilling our value proposition as a design-centric innovation company is dependent on our ability to approach health care challenges from fresh perspectives,” says CEO Mark Kandrysawtz, “ensuring that we don’t assimilate into the status quo. We deploy creative professionals, journalists and anthropologists to research and design new models for health care.